The Shady Lady is a small boutique hotel located in the lovingly restored historic Grand Central Saloon building on Gainesville’s historic downtown square. In the late 1880s, the downstairs was the nicest and most “respectable” saloon in town but the upstairs boasted the real entertainment – the soiled dove's establishment purportedly run by the Madame named Sarah. Guests enter through their private entrance and walk up the stairs to the Gathering Place with comfortable seating overlooking the Courthouse, complete with refrigerator and microwave for personal enjoyment – perfect for groups enjoying their wine after a visit to one of our local wineries. Each of the four guest rooms has a unique theme with a nod to the town’s colorful past, each with a private, luxurious bath. 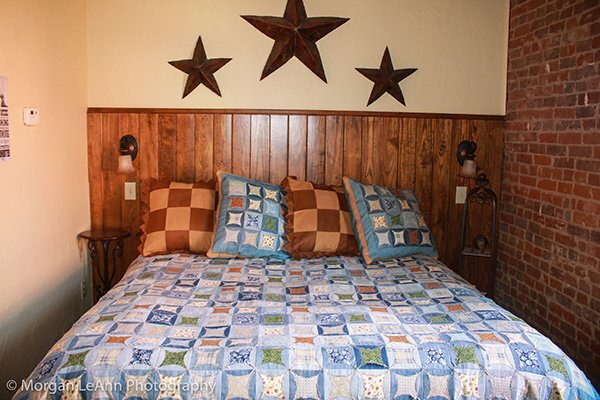 All rooms have flat screen tv’s, complimentary WiFi and most have fireplaces. 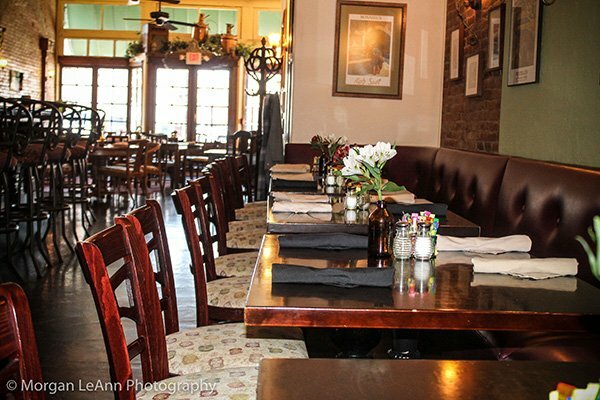 The Shady Lady is atop Sarah’s on the Square, a favorite restaurant for locals and travelers alike with a menu known for its delicious home cooking and fabulous desserts. Guests enjoy a wonderful breakfast with their room stay. The upstairs has been divided into four uniquely different and lovingly furnished suites of a reputable nature, with their individual names a nod to the past: The Madame's Room, The Chisolm Trail Room, The Victorian Garden Room, and The Santa Fe Depot Room. The restaurant‘s décor is eclectic in nature while preserving the historical elements that give it the character everyone knows and loves. The food is homemade with the freshest ingredients available. We offer “Grub to Go” for busy offices, families, etc. Where there was once a JCPenney's during the WWII years now sits Amelia's Attic antique shop with many unique features. 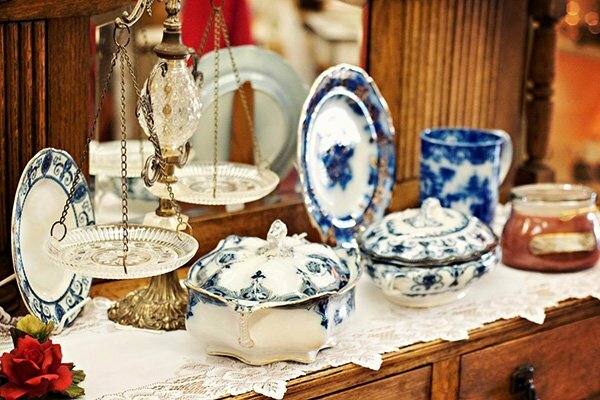 You will find a wide selection of antiques, collectibles, and primitives. Amelia's also offers a private event venue for rental located on the mezzanine.